The Niger Delta University [NDU] College of Continuing Education [CCE] Part-Time Degree Programmes Admission Form, Available Programmes, Admission Requirements and Method of Application for 2017/2018 Academic Session. This is to inform the general public and all interested applicants that the sales of form into the various Part-Time Degree Programmes of the Niger Delta University for the 2017/2018 academic session has commenced. 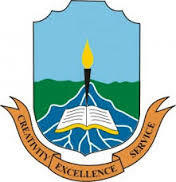 Sales and Purchase of the Niger Delta University Part-Time Programmes Admission form commenced in March, 2018. The Part-Time Programme is designed for students who for reasons of employment, family responsibilities, or health are not able to carry the full course load, while at the same time offering the opportunity for an intense educational experience. At Niger Delta University, the continuing education programme is committed to providing accessible univesity-level education for those who desire to better themselves in work-related competencies for career advancement, to keep abreast of the latest developments in their career fields, or just for personal enrichment. Students can pick from a diverse choice of programmes among-st the five faculties - Faculty of Agricultural Technology, Faculty of Arts, Faculty of education, Faculty of Management and Faculty of Social Sciences. Candidates seeking admission to any of the programs must have Five O’level credits in subjects relevant to the course of study (including English Language and Mathematics in specific programs) in not more than two sittings. English Language, Mathematics, Biology/ Agricultural Science, and any two of the following Chemistry, Geography, Economics, Physics. English, Literature in English and any other three subjects, two of which must be Arts subjects. English Language and any four other subjects. English, History or Government and any other three subjects, two of which must be Art subjects. English and any other four, two of Arts/Social Science subjects. English, Religious Studies plus three other subjects, two of which must be Arts subjects. English Language, Mathematics, and any other three subjects, two of which must be Arts subjects. English Language, Mathematics, and any other three subjects, two of which must be science subjects. English Language, Mathematics, and any other three subjects, two of which must be Social Science subjects. English, Mathematics, Biology and any other two subjects. English, Mathematics, Economics and any other two subjects. English Language, Mathematics, Biology/Agricultural Science and any other two science subjects. English Language, Mathematics, and any three of Principles of Accounts, Commerce/Economics, Insurance, Store Keeping/Management, Word Processing, including any one of the Social Science subjects. English Language, Mathematics and any three of Physics, Chemistry, Technical Drawing and other relevant science subjects. English Language, Mathematics, Economics and two other subjects. English Language, Mathematics, Economics and any other two Arts or Social Science subject. English Language, Mathematics, Geography and any two from Arts, Social Science or Science subjects. English Language, Government or History and two other subjects, at least a pass in Mathematics. Five ‘O’ level credit passes in English Language, Mathematics, Government or History and three other subjects. Lecture hold every day, Monday to Saturday. Lecture venue for the program shall be Glory Land Campus (Main Campus), Niger Delta University, Wilberforce Island, Bayelsa State. Click on 'Buy EPin' to buy your NDU Part Time Application EPin at the cost of (N16,000) online using your bank ATM/Debit Card. After purchase of E-Pins click on 'Fill Application Form' to Fill the application form with the Epin purchased and apply for admission. Click on the 'Reprint Application Form' to Reprint your completed application form by providing your Epin or Form No. Application Deadline will be announced soon.